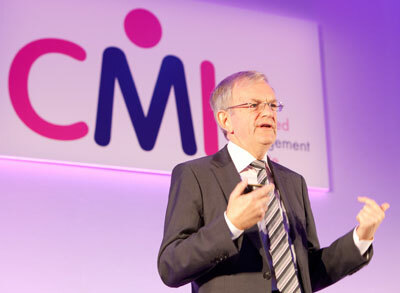 Employers across the country need to focus on their 'Purpose, People and Potential' to improve the UK's long-term economic prospects, according to Peter Ayliffe, President of the Chartered Management Institute (CMI). The Commission on the Future of Management and Leadership � founded by the All-Party Parliamentary Group on Management and the CMI � warns that 'myopic management' is a millstone around the neck of the economy and is threatening the UK's global competitiveness. The Commission's report � Management 2020: leadership to unlock long-term growth � brings together interviews and expert testimony from more than 60 individuals and organisations, plus data from a new CMI survey of over 2000 business leaders and managers. 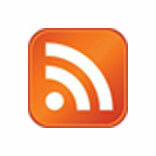 It pinpoints a crisis in management. More than half of leaders (57%) surveyed admit their organisation performs poorly or could do better on key measures and the Commission concludes that short-sighted, short-termist behaviour is squeezing out the long-term, visionary approach needed to achieve real growth. Purpose � companies need to define their long-term aims beyond just making money or hitting targets. Yet only 37% say their CEO is rewarded for delivering value to all stakeholders, rather than solely on meeting narrow financial targets. Witnesses to the Commission like Unilever Chief Executive Paul Polman � whose global business recently recorded a 9% rise in annual pre-tax profits � argue that businesses with broader, non-financial objectives will actually enjoy stronger financial returns than those who only set out to maximise profits. People � when it comes to developing people it's a case of 'too little, too late'. Government data shows that the UK labour market will need one million new managers by 2020 � yet 71% of the leaders surveyed by CMI confess they could do better at training first-time managers, or don't train them at all. This could leave 150,000 employees a year taking on management roles without adequate preparation. Employers are also neglecting mentoring and coaching: less than a quarter (24%) of respondents said their organisations do this well or very well, despite persuasive testimony from witnesses like Sir Charlie Mayfield, Chairman of the John Lewis Partnership, about its effectiveness in helping managers improve their skills and impact at work. Potential � UK plc is not investing enough to develop the potential of the next generation of managers and leaders. More than half (57%) of managers admit their organisation does not offer young people work experience and a further 64% confirm that their employer does not report on how their organisation is working with schools, colleges or universities, or does so poorly. With youth unemployment still high, a radical new approach is needed. The Commission heard from witnesses like Kim Winser OBE, founder of fashion company Winser London, who encourages every division of her company to hire a young person who has just left education. We're faced with a ticking time bomb of myopic management in this country, with widespread under-investment in the next generation of leaders. We've got some brilliantly managed organisations in the UK, but there are simply not enough of them. Unless all of us responsible for leading businesses, public services and charities acknowledge that we are at a tipping point and commit to being part of a Better Managed Britain, the nation's sustainable long-term growth opportunities will not be fulfilled. Without a genuine focus on the three critical areas of purpose, people and potential, we cannot hope to build a sustainable economy � nor a cohesive and prosperous society from which everyone benefits. Barry Sheerman MP, Commission Co-Chair and Chair of the All-Party Parliamentary Group on Management, says, "We've got to do better at developing young people's potential. First, employability needs to be embedded in education, with managers providing more chances to gain real-life experience about the workplace. Second, government should work with partners to help build exchange networks, helping employers to set up work placements and share ideas with each other and with schools, colleges and universities. We heard from many employers who can see the damage that's being done by youth employment and it's clear that we can do more to train, nurture and mentor the management stars of the future." Government should also encourage employers to address their purpose, people and potential in annual reporting. Sheerman adds, "Encouraging employers to report on how they're fulfilling their social purpose and developing their people will help them focus on management and the work that's required to achieve sustainable growth in the long-term". "With the UK economy at last coming out of its five-year slump, it's the perfect time to put the spotlight on management," says Ann Francke, CMI's Chief Executive. "We've got some fantastic organisations in this country, but no sector will fulfil its potential without a root-and-branch reappraisal of what good management looks like. The Commission has showed how we can raise our game. By using our Management 2020 Benchmarking Tool, every leader can set their own goals based on purpose, people and potential. Improve performance in these critical areas and we'll be well on the way to creating a Better Managed Britain."